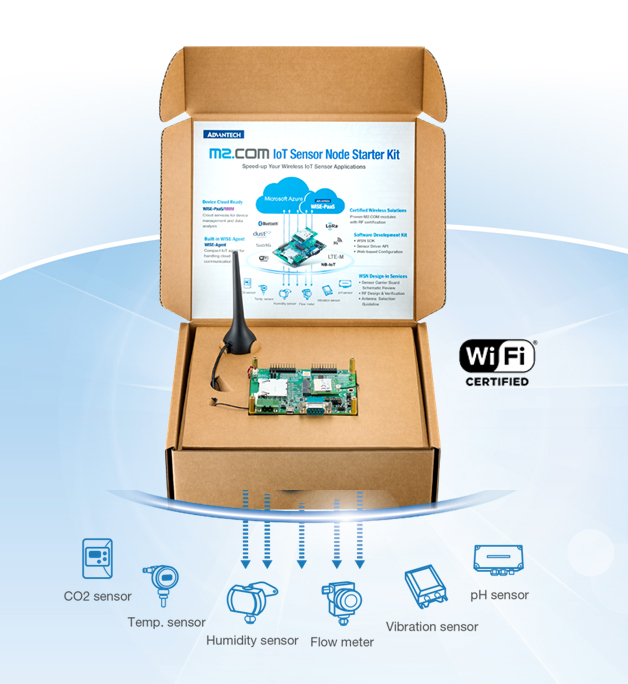 Advantech, a global leader in the embedded computing market, is glad to announce the release of the WISE-DK1520 M2.COM IoT low power Wi-Fi IoT starter kit. The WISE-DK1520 starter kit includes all the key elements of IoT device development including an ARM Cortex-M4 processor, wireless technology, sensor interface and WISE-PaaS/RMM cloud platform. WISE-DK1520 allows the customer to focus on their IoT product development to quickly build their sensor and cloud-based IoT solution. WISE-DK1520 starter kit includes the proven WISE-1520 M2.COM module with Cortex-M4 processor, 256KB RAM / 1MB Serial Flash, 1x UART, 1 x I2C, 1x SPI, 2 x GPIO, 2 x PWM, and 2 x ADC interfaces. WISE-1520 is certification ready to save on RF testing costs and a Software Development Kit(SDK) includes sample code, sensor driver APIs, and utilities. WISE-DK1520 also offers a development board with built-in temperature, humidity sensor and multiple IO for communication and verification, plus RF cable and antenna.WISE-1520 M2.COM module provides reference code and sensor driver APIs so customers can easily develop their application and show the results in the WISE-PaaS/RMM cloud. With WISE-PaaS/RMM build-in, customers can build their IoT solutions effortlessly with rich software offerings. 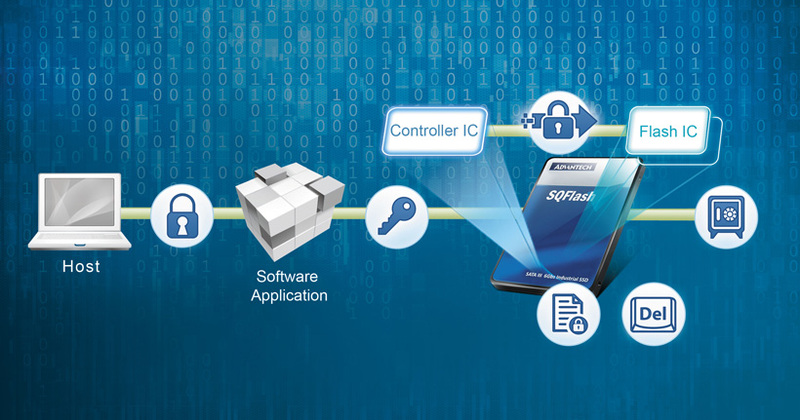 The Advantech M2.COM WISE-DK1520 Starter Kit SDK is based on a Real Time Operating System (RTOS) for embedded systems. It supports all the necessary software stacks to build up IoT sensor devices. With the supporting IoT communication protocol - MQTT, data can be quickly and easily acquired and transformed into different formats to communicate with Advantech’s WISE-PaaS/RMM IoT software platform or other cloud services. With 150+ RESTful APIs, WISE-PaaS/RMM not only offers tools for account management, device management, device control, event management, system management and database management, but also highly enhances connectivity for pre-integrated, pre-validated hardware with RF certification and software building blocks that enable secure and seamless data flow from sensors to the cloud. Developers can build the application backbone faster and focus on their value-added services. Advantech M2.COM WISE-DK1520 Starter Kit is released with a standard offering of service support that helps developers get familiar with low-power Wi-Fi IoT platforms and learn to operate and design applications. The design-in service includes starter kit, user manual, sensor carrier board schematic review, RF design, verification and antenna selection guideline. Advantech can assist customers from concept planning, development, validation to production, provided by professional support teams located in over 20 countries around the world. Advantech M2.COM WISE-DK1520 Starter Kit takes only a few steps to setup and is designed with proven hardware RF certification, comprehensive SDK and comes integrated with cloud ready solutions. WISE-DK1520 Starter Kit benefits customers with shorter design and integration cycles, minimizing uncertainty and risk for customers. 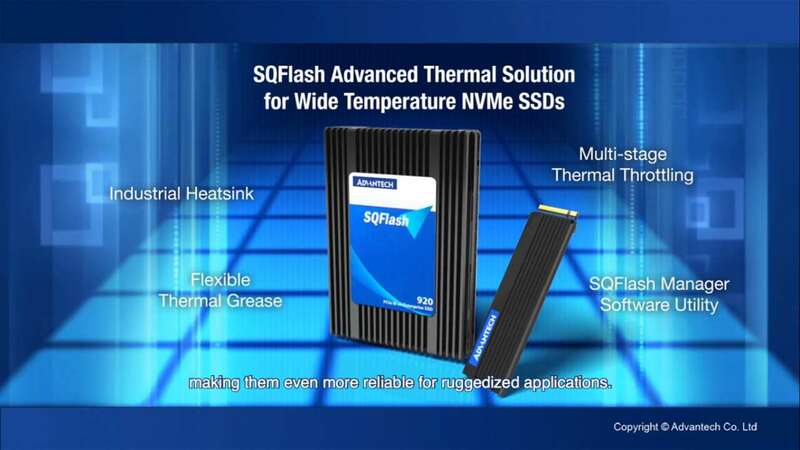 For more information please contact your local Advantech sales representative, or visit us at our website.